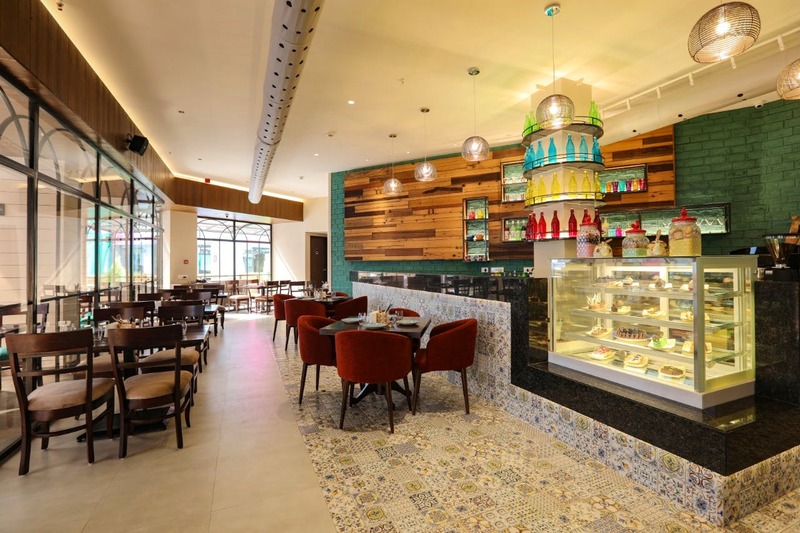 Believing in the concept of farm to fork, Celebrity Chef Ajay Chopra has conceptualised this plush new vegetarian bistro with a special-curated menu and we think this is a vegetarian heaven. Head to Nine Square situated in Pubcity, Yerawada to gorge on freshly prepared food with organic and healthy ingredients. Those who believe that vegetarians lack food options will reconsider their thoughts after visiting this beautiful all-day veg bistro. Conceptualised by Chef Ajay Chopra (known for his authentic Dilli dishes), the place is known to lay down some exquisitely-prepared dishes in front of you that are high on flavour, freshness, taste and presentation. We were very impressed with the sleek interiors and an artsy outdoor seating arrangement. The prompt service by the friendly staff made it more pleasant. If you are ordering any bakery-based items, be rest assured that the bread is freshly baked and sauces are freshly-prepared. Since the chef is known to bring the flavours of Delhi on your platters, try out the signature Dilli ki chaat tokri, black-jack pani-puri, and his personal creation- rustica salad. For mains, you can opt for the rich curries and other dishes like slow-roasted tomato, tandoor ki bhuna kadai, bharwan baigan bharta and much more. If you're trying out the continental food, gorge on the delicious stone-baked pizzas, chef-style spaghetti aglio-olio and tex-mex burger. We absolutely loved how the flavours perfectly played with our taste-buds. They have amazing options for non-alcoholic beverages that are both, tasty and healthy. Try out their healthy cold-pressed juices, fresh fruit signature smoothies and international blends of tea and coffee, which have been directly procured from farmers. Foodies, for the ultimate dining experience, top-up your meals with their gourmet ice-creams and signature dessert platters which consist of Purani Dilli Rabro Falooda, payasam lava cake and sugar-free anjeer samosa. Their ice-cream flavours are unique such as guava-chilli, Turkish hazelnut and Lonavala chikki, amongst many others. If you want to try tea with an exotic experience, then try out their signature blends such as white champagne, raspberry, jasmine pearl, Japanese green matcha tea, and lavender Earl Grey amongst others.